At the dawn of the seventeenth century Europe is a dark and dangerous place. As war rages across the continent and men's immortal souls are traded for mortal lives, two astronomers risk everything to reveal the truth behind the universe's grand design. When Johannes Kepler discovers that the stars and planets move not to the whims of angels but according to natural laws, Galileo Galilei proclaims his own startling discoveries. 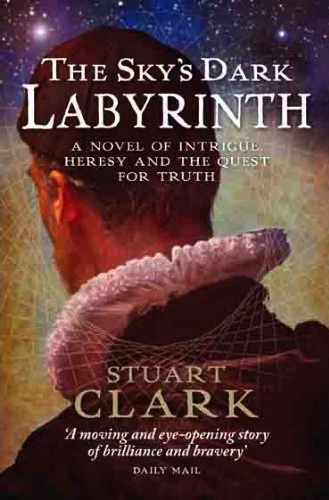 Ultimately both men become caught in a web of intrigue and face persecution as heretics in one of the darkest yet most enlightening periods of European history. The Sky's Dark Labyrinth is the first in a trilogy of novels which dramatically bring to life key moments in our understanding of the cosmos - when our view of the Universe changed forever - through the stories of Sir Isaac Newton and Edmond Halley (The Sensorium of God, published Feb 2012), and Albert Einstein and Georges Lemaître (The Day Without Yesterday, due spring 2013).